I have found my lost plant! Someone had taken it, but their roommate saw it, and knowing that I was looking for it, she had told my friend to tell me it was there. It had been in the same building, and I was thinking it would’ve even died. It’s hale and healthy. Probably the girl who took it took good care of it. I’m not going to leave it in the terrace again. I’m sorry I hadn’t cared. I’m sorry I let them get to you. 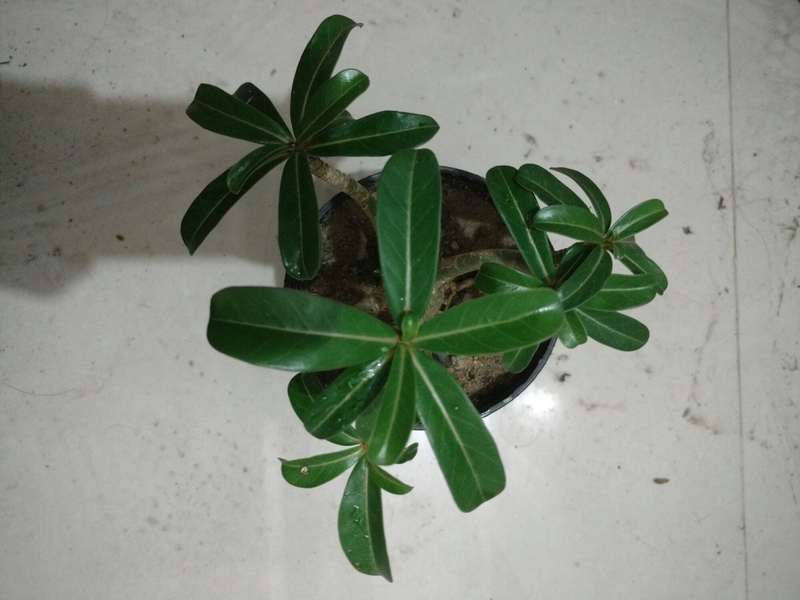 I have gotten this plant last weekend. It feels like I have something of my own after bringing this to the hostel. 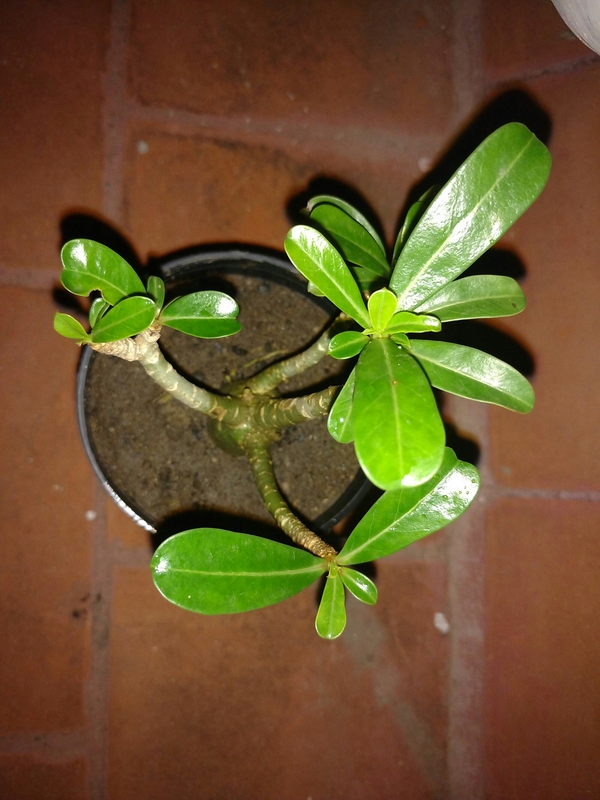 I kept it in the terrace, because it needs much sunlight – it’s a tropical plant. It grows like a bonsai, but much taller. Its flowers bloom in the spring – called the desert rose- have to wait for it. Not even sure if mine will flower, but Chennai is quite a tropical area. 😀 But it dies when the temperature goes down, so I have to be careful in the winter. Although I was excited while bringing it, I’m forgetting to water it everyday. But since this plant makes me feel like I have something for myself – a living being that is ALL mine, it feels happy.